Just like every year, once the holiday season is over, we start looking forward to FOSDEM the first weekend in February! This year, four of us from Normation will be attending, all the way through, from the world-famous, record-breaking beer event to the last talks on the Sunday. We’ll be introducing Rudder, our open source configuration management tool in the Configuration Management devroom on the Sunday. Our talk will show how Rudder’s approach enables everyone in the IT department to benefit from the advantages of configuration management, without necessarily needing to learn a complex tool, or even get their hands dirty. We’ll describe and demonstrate how this is possible, and dive into the technical architecture that makes it work. Read more on the official talk page. 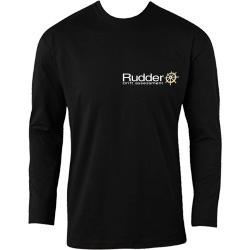 Come and have a chat, we’ll be easily recognisable in our flashy black t-shirts with the Rudder logo! Just before FOSDEM, we’re giving a CFEngine 3 training session. Some seats are still available, so why not come and kill two birds with one stone – some professional training at the end of the week, and a good open source event at the weekend!